W&Co was recently commissioned to help brighten up the entrance to the British Council’s main offices in collaboration with Artillery Architects. 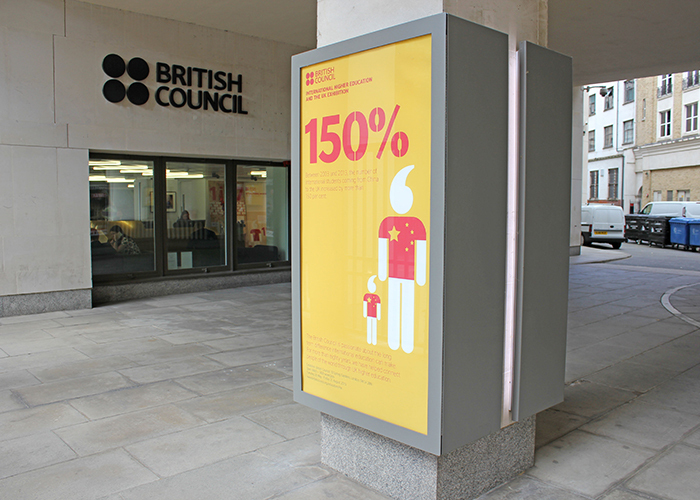 The British Council, a UK registered charity,which specialises in the provision of international educational and cultural opportunities, operates from an office in south west London, the entrance to which is located on the back wall of a fairly deep and dark under croft that makes it very difficult for visitors to find. In order to increase the entrance’s visibility,W&Co designed, manufactured and installed some large built-up and flat cut stainless steel logos that were fixed at high level next to the entrance door. 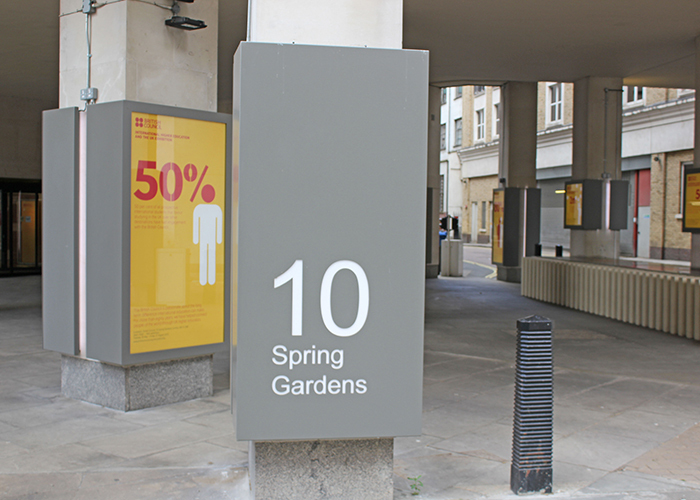 These were further complemented by a series of bespoke external LED illuminated poster cases and fret cut illuminated signage, which were installed around several of the under croft’s supporting concrete columns. The large bespoke poster display cases were clad back-to-back, complete with concealed LED accent lighting to the rear edges, to provide the illusion that they were floating. Especially crafted to ensure maximum durability and security, the poster cases feature toughened glass front panels and hinged doors with a hidden locking mechanism. 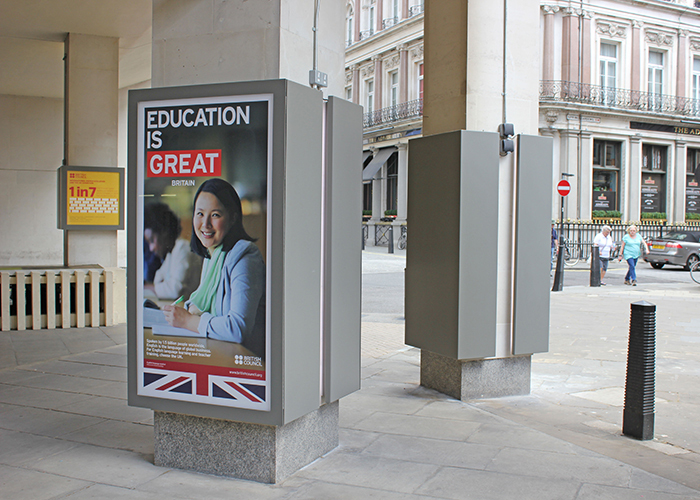 The British Council was delighted with the final result, especially as the poster cases also provide it with a highly effective, but low cost advertising opportunity. The graphics within each case can be quickly and easily changed by the Council’s own staff in order display updated marketing messages and to promote upcoming events throughout the year.